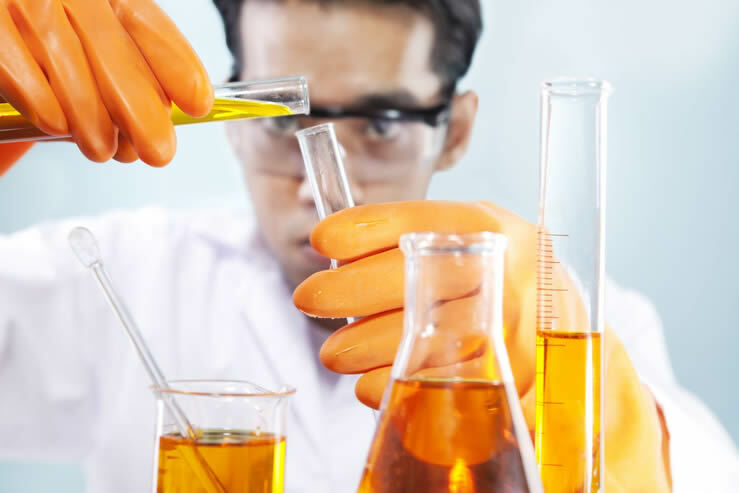 Innovation is a key driver for specialty chemicals. New products and solutions secure profitable growth for Caming. They open up new business areas and strengthen our leading market and technology positions. Innovative strength and efficient R&D are already hallmarks of Caming. We are continuously working on these strengths: by networking and internationalizing our research, through forward-thinking and openness to external ideas, and by continuing to invest in creative minds. Customer proximity is also an important success factor in our research and development (R&D). Accordingly, our R&D has a decentralized structure and global orientation. Its focus is increasingly on growth regions. Our researchers and developers are very strongly aligned to the trends and demands of these markets. Sustainability is an important driver of innovation. This is why research into sustainable products and processes that make efficient use of resources is an integral element of our innovation strategy. Not even a research unit as well-equipped as possible can mine the world’s entire wealth of ideas and completely map the knowledge on the other side of the factory gate. That’s why we are using Open Innovation to try out new opportunities for linking our own researchers with institutes, experts and all other sources of ideas outside the company. Internally, we also use our FCAD Business Platform for our own idea competitions. All employees worldwide can use this platform to propose their own ideas or comment on those of colleagues. This is how Caming succeeds in getting unconventional ideas for new projects and at the same time strengthening its internal networks of creative lateral thinkers. With many projects in the innovation pipeline, Caming Pharmaceutical is meeting the demands of the top megatrends in the areas of health, resource efficiency and globalization. The large number of first-time patent applications filed by Caming places it at the forefront of the specialty chemicals sector. Caming is particularly efficient at converting its research expenditures into patents.